Mange iMessage text in your iPhone, iPad very uniquely, so disable or Turn off iMessage for not saved contacts in iPhone, iPad. 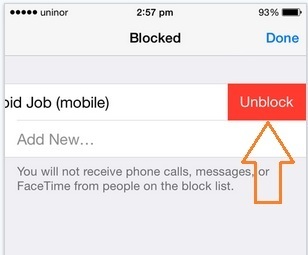 Means not disable or block all iMessage from an unknown number. After enabling this iMessage Settings within your setting app, your iMessage app automatically categories into two different tabs. Follow the below steps and Manage all text coming for known person text or unknown person. Useful: iMessage and FaceTime not working on iPhone. Step 3: At last, you can see the option for Filter Unknown senders, Enable toggle. 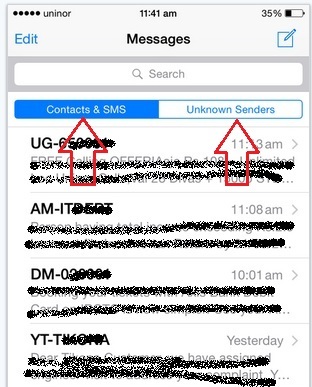 Once you enable, go to the Message app and there you can see Contacts & SMS and the second one Unknown Senders. 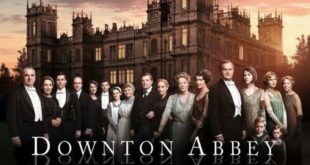 Useful: Spy software for Message, Call and more. With the above Setting, you made your searching old message easy compared to default settings. 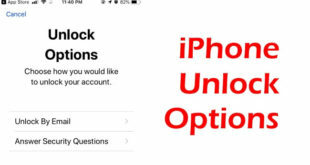 Note: in any case, you didn’t receive iMessage or test from the unknown or known/Saved contacts then you must verify that, his/ her contacts couldn’t be in the blocked contact list. For that Go to the Settings > Messages > Blocked (Tap on Edit from right top corner) > and Then Tap on minus sign > Unblock. Above steps works like ignore unknown message and easy to delete from the useful message that will be listed under the Unknown Senders. 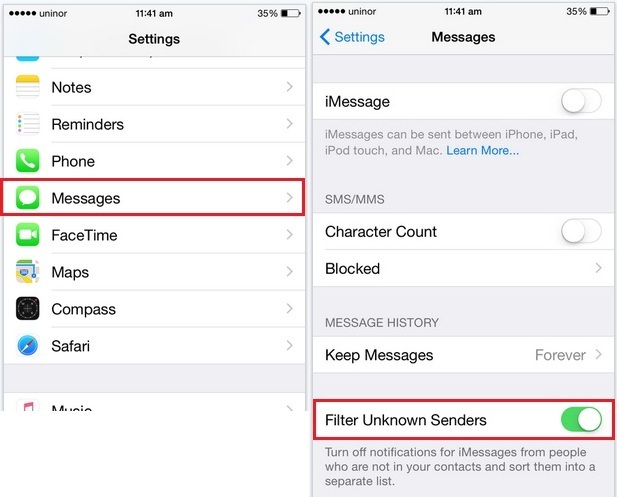 Having any query on Turn Off iMessage for not Saved Contacts on iPhone, iPad and iPod Touch running on iOS? Feel free and share with us. Previous Siri not working on iOS 9 get how to fix?